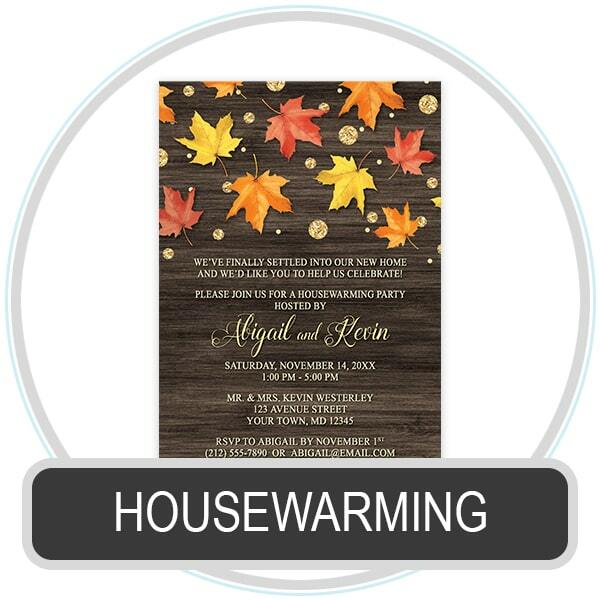 Modern and rustic Housewarming invitations for your celebrating moving into your brand new home and sharing your happiness with your family and friends. These invitations are custom printed with your housewarming party details on the quality invitation card stock of your choice. Every housewarming situation is different, so be sure to provide the wording you want to have on your invitations that will work for your celebration. You will be emailed a proof image of your invitations for your review and approval before they are printed, so we can get them perfect for you. This proofing process is provided as a complimentary service, so there are no worries!